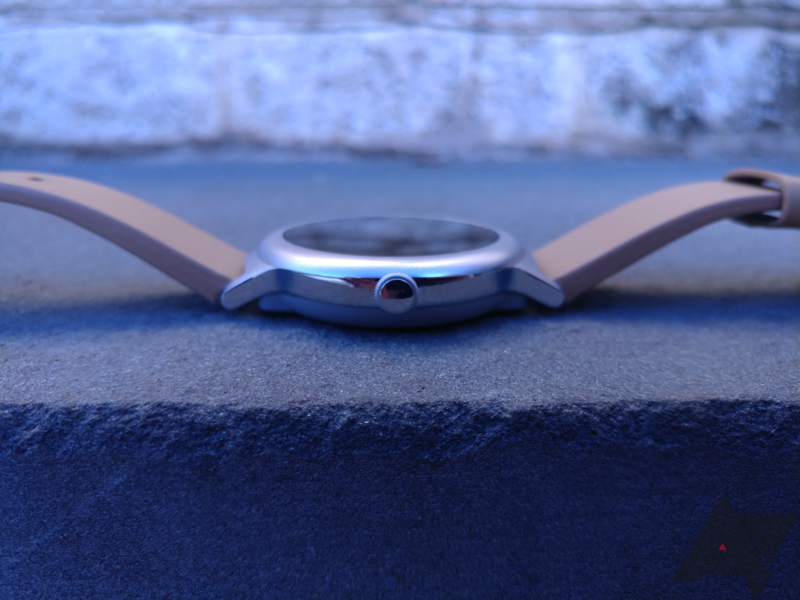 The Watch Style is the lower-end of the two smartwatches LG has just released in conjunction with Google. It's not particularly handsome, it's not particularly feature-packed, and at $249, it's not particularly well-priced; however, it's still my favorite Android Wear smartwatch that I've used to date, and one that I think will strike well with the average consumer. 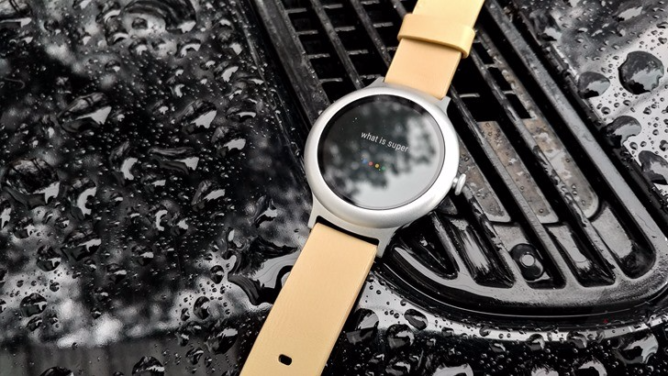 This watch is also launching with the significantly-delayed Android Wear 2.0, which throws a host of new features our way, most notably standalone apps and an on-watch Play Store. 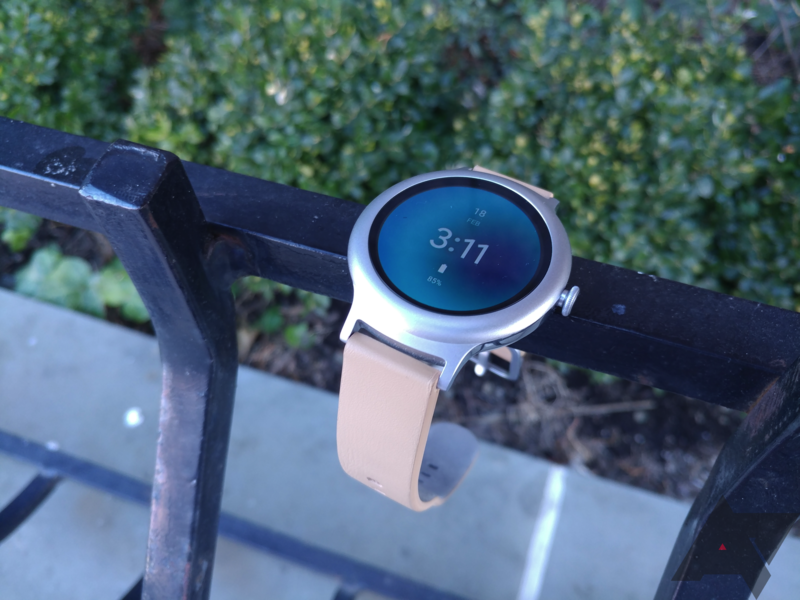 Although it's the Watch Sport that is acting as a showcase for everything that Wear 2.0 can do, the Style is still a rather competent smartwatch. Design The three-layer design is clean and modern-looking, if a bit unoffensive. Performance This thing is so, so smooth. 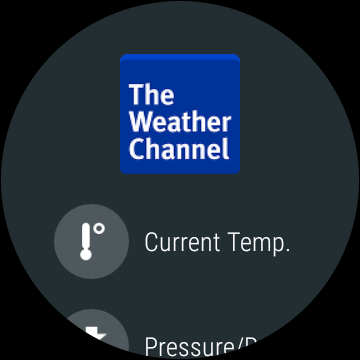 Using any other Android Wear watch now feels sluggish. Software Android Wear 2.0 brings a ton of new features, as well as a UI refresh. I also love the scrolling crown that the software now supports. Wireless charging Setting the watch atop the charger without having to worry about pins being aligned is very convenient. Battery life At 240mAh, the Style's battery is extremely small, and it definitely shows. It's sufficient to get through a day of use, but nothing more. Lack of features This thing has no heart rate sensor, no NFC / Android Pay, no GPS, and no LTE. Price $249 seems a bit steep for what you get inside the watch. LG clearly wanted to insinuate something about the design with a name like "Watch Style"; however, I'm not sure if that's fitting. 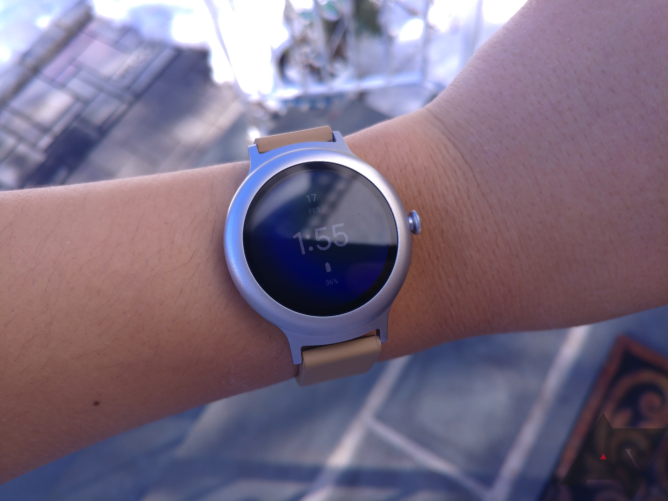 It's not as out-there as the ZenWatch 3, not as elegant as the Huawei Watch, and not as customizable as the Moto 360. That being said, it's still pretty good-looking in my eyes. LG implemented a sort of three-layer design: the top is a matte silver, the middle, the lugs, and the crown are polished metal, and the bottom is a matte plastic. For the most part, the casing is 316L stainless steel, aside from the plastic bottom that was probably necessary to add wireless charging. 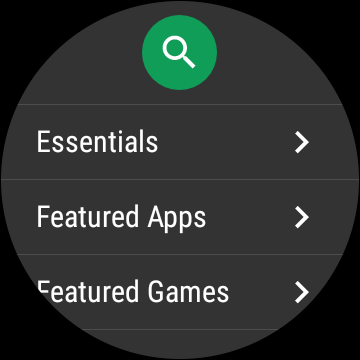 The Style is on the slimmer side of Android Wear watches, and the layered design makes it look and feel even more so. It's slimmer than the Huawei Watch and the older LG Watch Urbane, and about as thick as the ASUS ZenWatch 2. The single button on the right side is nice and tactile, which gives it a premium feel. It also acts as a scroll wheel a la Apple Watch, and is considerably more useful than I thought it'd be. The edges of the buttons also have small grooves in them, which will keep your finger from slipping while scrolling. Overall, the watch feels great on the wrist. 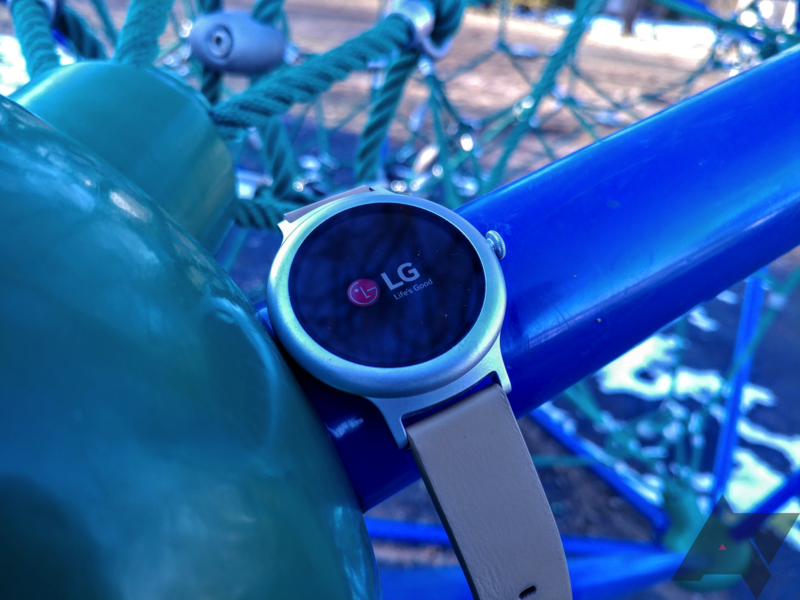 Contributing to that nice feel is the 18mm MODE band, which LG calls Italian genuine leather. It's fairly soft, doesn't stain easily, and features sliders that make it extremely easy to swap out (you can still put regular straps in). Watch snobs will probably ditch it immediately, but as a tech enthusiast first and foremost, I found it fine. First things first: yes, this is a fully round, 360-degree display (I still find it ironic that the Moto 360 doesn't have a fully round screen). Its resolution of 360x360 isn't class-leading, but thanks to its relatively small 1.2-inch size, the display still looks crisp. The Style also packs an ambient light sensor underneath the display - not a first, but still pretty awesome. Brightness transitions are smooth and quick; anything else would be an eyesore. The display uses LG's P-OLED (plastic OLED) technology, which the company's been using on smartwatches ever since the G Watch R. Worry not about a cheap-feeling screen, though, as this one is topped with Gorilla Glass 3. As is typical with OLED displays, blacks are beautifully black, and colors are nice. The only arena in which the screen could use a bit of a boost is brightness; as you might be able to see from the hero image, it's just a tad dim. 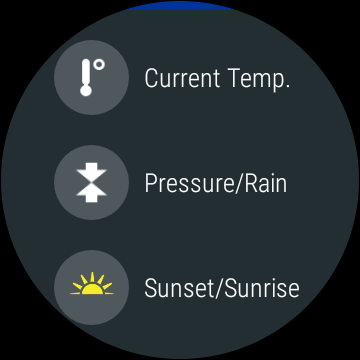 The Watch Style is, bar-none, the smoothest smartwatch I have ever used. There are a number of factors that lead to this: the Snapdragon Wear 2100, a relatively low-res 360p display, and the new Android Wear 2.0. However, I'm inclined to believe that Google also worked extremely hard on optimizing the software for these LG watches. 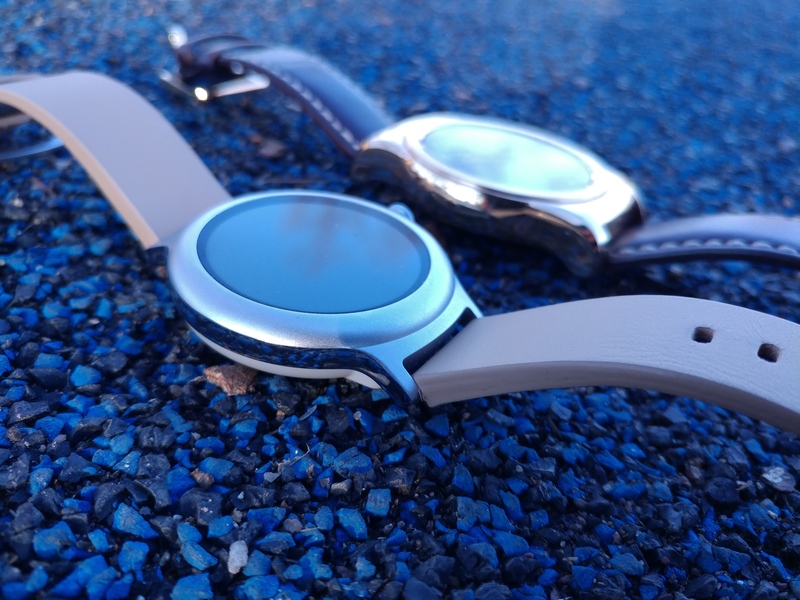 While my Huawei Watch, LG Watch Urbane, and ASUS ZenWatch 2 may cruise along at between 20 and 30fps, the Watch Style feels like it maintains a steady 40-50fps at all times. It's that smooth. Battery life is where this thing stutters a bit. 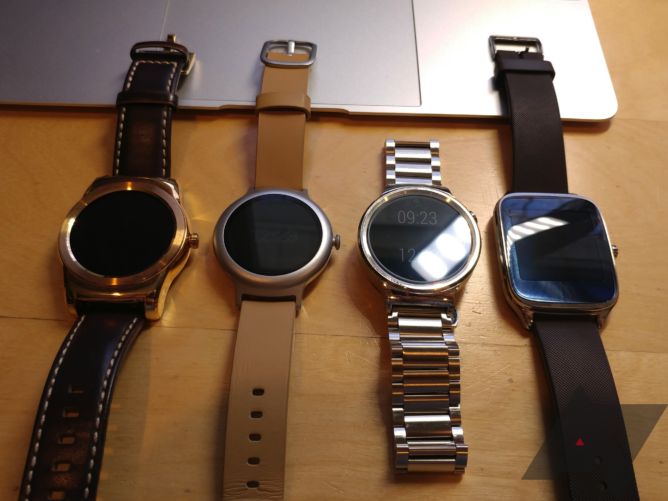 Every other Android Wear smartwatch of mine lasts at least a day and a half, but I struggle to get even a day out of the Style. The fact that ambient display came disabled out of the box shows that even Google isn't confident in its tiny 240mAh cell. For most of my review period, I had ambient display on, but turned WiFi (which was enabled out of the box) off. My use mostly consisted of frequently looking at emails and messages, with the occasional weather app or game (yes, I'm that kind of guy). I'd usually be able to eke a day out of it, but nothing more - this is definitely a charge-every-night sort of watch. 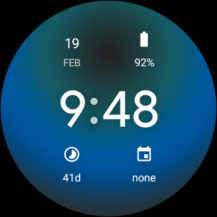 That's not a real problem for me, as I recharge my smartwatches every night regardless of how much battery is remaining, but it may be for those of you who use your watch more actively or are more prone to forgetting to set it on the charger. Thankfully, the magnetic wireless charger is very easy to use. Turning ambient display off did mitigate battery drain considerably, but to me at least, that just kinda ruins the purpose of a watch. After all, a watch exists so that you can look at the time whenever you want; I don't want to have to shake my arm to do so. So if you're looking for an endurance champ, look elsewhere. This is where everyone is probably expecting to see big changes to Wear, especially after that massive delay. Thankfully, Google delivers in this regard. 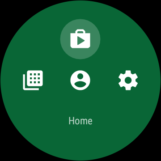 Not only has the UI been tweaked, but additions such as new watch face customization, the Play Store, and Google Assistant make the software a pleasure to use. 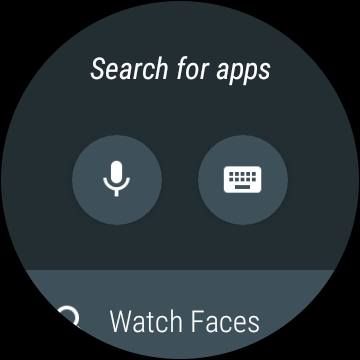 You'll want to look to Cody's review of the Watch Sport for info about Android Pay, though. Virtually every screen in Wear 2.0 has been given a nip and a tuck, making it more usable and/or aesthetically pleasing. Accessing settings or the toggle for theater mode previously required users to swipe several times; now, it only takes one swipe. 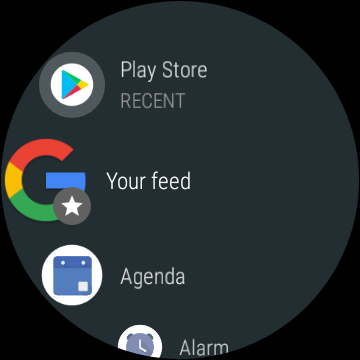 The new launcher highlights the watch's round display, and allows you to "star" certain apps by long-pressing them. For instance, I have "Your feed" (formerly called "Google") pinned so that I can easily check the weather and tracking for packages. The settings menu also gets a new coat of paint, with more folders such as "Gestures," "Connectivity," and "Apps" for less clutter. Definitely worth a mention is the scrolling crown. Main competitors, such as the Tizen-powered Gear S lineup and the Apple Watch, have had this for several years now, and I've seen people swear by the rotating bezel on the Gear S2 and S3. Since it's brand new for Wear, its scope is limited, but that'll obviously be fixed as time goes on. I also had a few instances where the crown wouldn't scroll far enough to reveal the next notification, but this should be an easy software fix. All in all, the crown is extremely convenient, especially on a watch with a screen this small. Sadly, Asphalt 8 isn't on Android Wear. 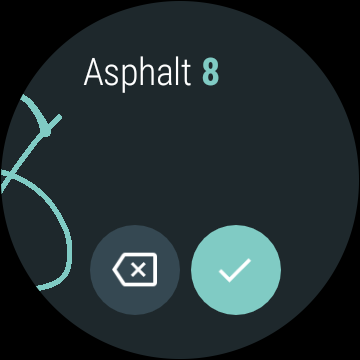 A big issue with Wear 1.0 was interaction with your watch in loud environments, or places you had to keep quiet. The OS was just too reliant on voice input, and it would consequently be extremely difficult to type a message or search for something. Google saw this, and added in two fantastic input methods: a keyboard and handwriting recognition. The keyboard is, well, a keyboard. However, as you might imagine, hitting those tiny letters accurately is a bit difficult. That's why Google also implemented swipe functionality. Swipe on such a small screen works surprisingly well, with my intended words appearing 95% of the time. Major kudos go to the engineers at Google for this, as I can't imagine programming all those words and dealing with a likely much larger amount of missed targets would be an easy feat. Should you prefer to write your queries, Google did a great job with recognizing handwriting as well. The only consistent issue I had with this was having my 8s being interpreted as Ses. That could just be because of my odd handwriting, though. 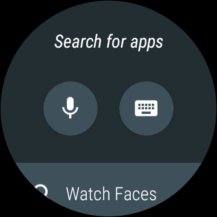 Watch faces on Wear have seen an overhaul as well. 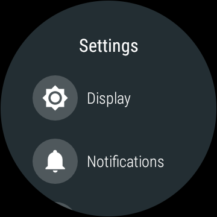 Previously, on Wear 1.0, long-pressing the watch face would allow you to select a new face, and hitting the settings icon below would only permit you to make limited tweaks. Now, though, long-pressing the face brings you to a screen where you can edit complications (data streams from other apps that you can put on a watch face). To actually change the face, you have to swipe either left or right. This was a bit confusing at first since swiping to the left used to open the app drawer, but I got accustomed to it quickly. 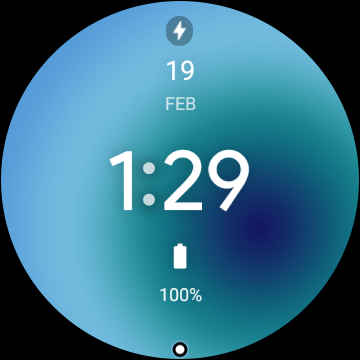 I'll use the included "Time-lapse" watch face as an example. 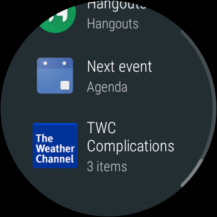 You can choose to have anywhere between zero and six complications, and there are a number of them to choose from. Some third-party apps will enable more; for instance, The Weather Channel's Wear app comes with complications for the temperature, pressure and rain, and sunset and sunrise times. You can also toggle the unread notification indicator (the little white dot you see at the bottom of two of the watch face screenshots above). There are a lot more customization options than there were on Wear 1.0, and those who enjoy tinkering with things to make them just right will probably find this pretty useful. One of the biggest complaints about Android Wear was that it was too constrained and too tied to the phone. 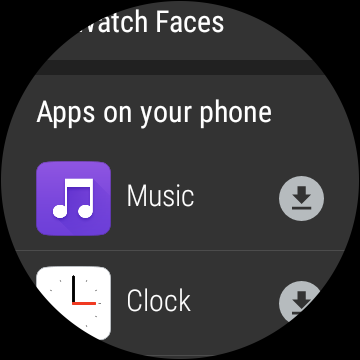 Standalone apps and the on-watch Play Store aim to change that. 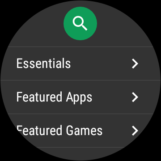 I didn't have high expectations for the watch's Play Store, given that it's restricted to such a small screen, but it's surprisingly detailed. You can view different lists that Google creates, such as "Featured Apps," "Communication," "Tools," and so on. If you want to view every app available, there are also lists for all apps, all games, and all watch faces for Wear 2.0. Even searching is easy, thanks to those new handwriting and keyboard/swipe input methods that Wear 2.0 brings. 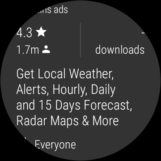 App listings are descriptive as well. You can see if the app contains ads, its ratings, how many downloads there are, and a short blurb about what it can do. 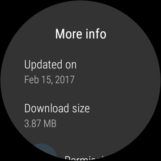 Clicking the "more info" button at the bottom allows you to see when the app was last updated and the download size. You can also uninstall apps from here. 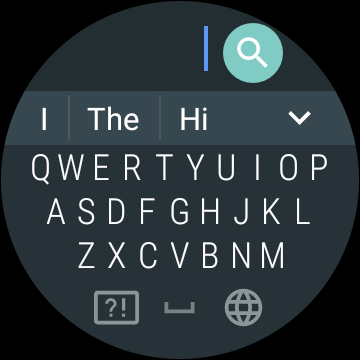 Save for composing reviews, the Wear Play Store is actually somewhat comparable to the one installed on your phone. Moving on from app listings to the standalone apps themselves, they will primarily consist of fitness and messaging apps as well as some games sprinkled in between. However, fitness apps don't work particularly well for the Style since it lacks GPS (for tracking runs) and a speaker (to hear exercise commands). We'll have a roundup of the best Wear 2.0 apps we can find coming out in the next few days. 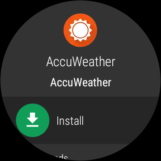 With older versions of Wear, any apps on your phone that also had a companion Wear app would automatically install that onto your watch. Now, you actually have to download those separately. 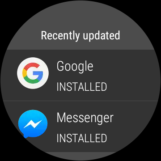 Depending on how many third-party apps you download and how many companion apps you actually use, this could either be an improvement or a downgrade, but it doesn't take much effort at all to re-download those companion apps since they're listed for you right on the Play Store's home screen. One of the big selling points about smartwatches is the ability to get things done without having to take your phone out. Previously on Wear, if you couldn't say "OK Google" for whatever reason, you'd have to swipe right three times from the watch face - not the most efficient thing in the world. Now, though, a simple long-press of the crown will trigger Assistant. The black background also looks a lot nicer than the white that Google Now offered. 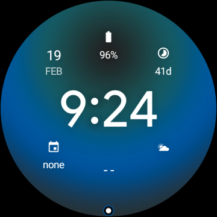 It's not just a slicker interface that differentiates Wear 2.0's Assistant from Wear 1.0's Google Now, though; the watch now communicates with the cloud without having to go through the phone. 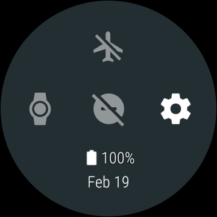 This means that even if a phone isn't connected, the watch can still return answers over WiFi or LTE (not applicable to the Style, obviously). Google claims that this will improve response time, but in reality, people are having a hard time proving this statement to be correct. That being said, this is still an improvement over what we had before in every way. Accurately describing what Wear's Assistant can do versus what Google Home's Assistant or the Pixel's Assistant can is difficult, so I'll relegate that task to Corbin, who's already written a detailed piece, complete with a lengthy chart, about this very topic. You know that feeling when you go back to a device running older software after you've been using something running the latest stuff? Like going from Nougat to Marshmallow, or from Windows 10 to Windows 8? That's what going back to a watch running Wear 1.0 feels like after using the Watch Style's 2.0. Many lighter users may not even touch the Play Store, but the overall experience just feels so much cleaner and more mature. For me, Wear 2.0 was worth the wait. 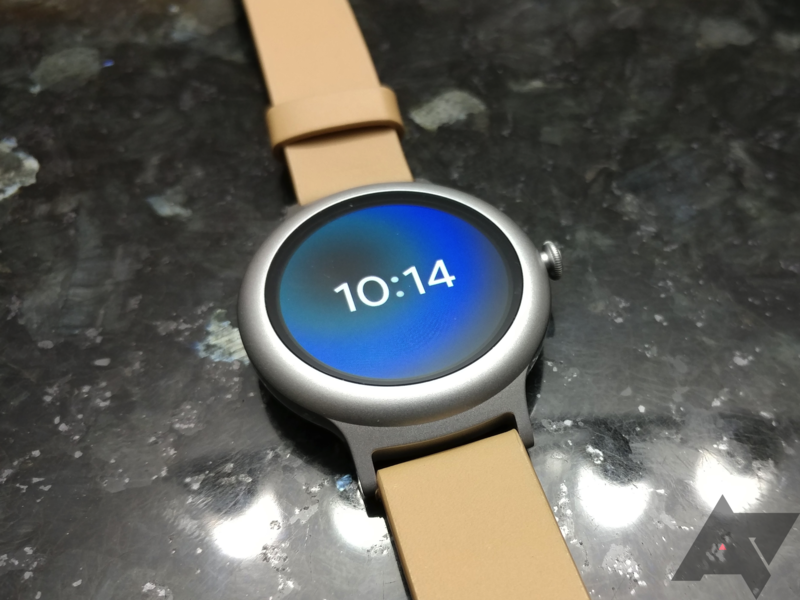 So now, let's get back to the title - what makes this the Google Pixel of Android Wear smartwatches? A smaller, lower-res, yet still decent display? Check. Slightly quirky yet unoffensive design? Check. Brand new software and a guarantee for getting the quickest updates for a while? Check. Buttery smooth? Check. And lastly, a slightly higher price tag? Check. The LG Watch Style isn't perfect by any means. It's missing quite a few features, all of which the much heftier Watch Sport has. But then again, the Pixel isn't extremely feature-packed either; people love it for the extraordinarily smooth experience it delivers, and how it just manages to be a great phone all around. That's how I feel about the Style - it's a tech product that I'd recommend to even non-techies, despite its higher $249 price. If you'd like to pick up a Watch Style of your very own, check it out on the Google Store (currently out of stock) or at Best Buy.